It's been another busy week. Classes to teach, cakes to make and a school trip to supervise. I've not had time to do any crafty projects this week although I have lots of ideas. 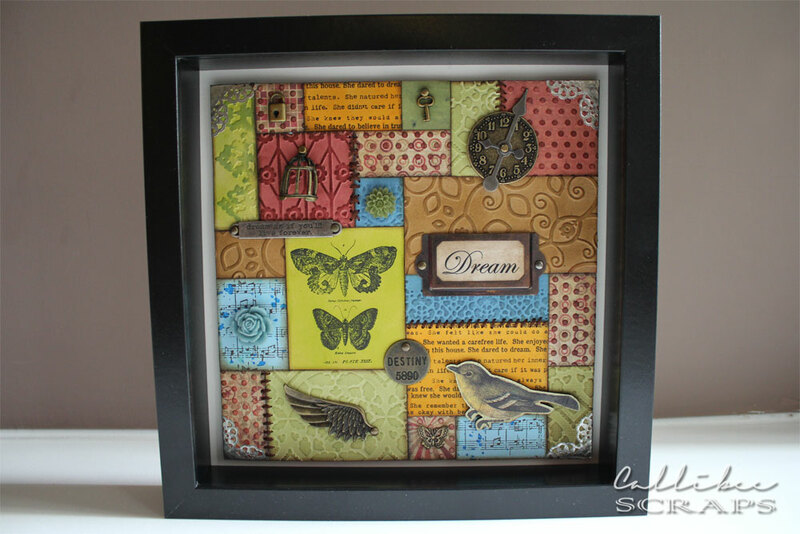 I did my two patchwork frame classes on Tuesday and Thursday. It's lovely how wonderful each person's project came out. Everyone got a mixture of Tim Holtz Ideo-logy hardware for their projects, mixed with some other trinket finds. They also got to frame their projects in the Ikea Ribba frame. I didn't get any photos of the class in progress, but I think Erika took some. I'll try to get them off her to post later. I also had a macarons order for Wednesday and two cake orders for Friday and Sunday. I do love my cake making and it's a great creative outlet for me of a different kind. The funny thing is though - building up all my cake tools and supplies are just like building my scrapbooking supplies and I seem to have just as many edible ink colours as I do crafting ink colours. Hope I never mix up the two. 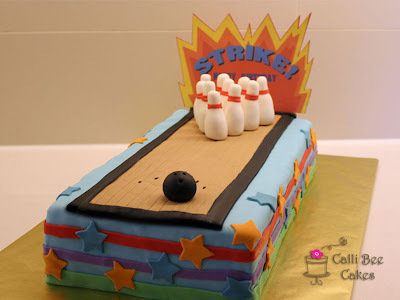 This was for a good friend's son who had a bowling party. Inside, is vanilla cake with chocolate buttercream. The outside is covered in fondant with gum paste bowling pins and ball. This one was for another good friend's daughter who just turned one. 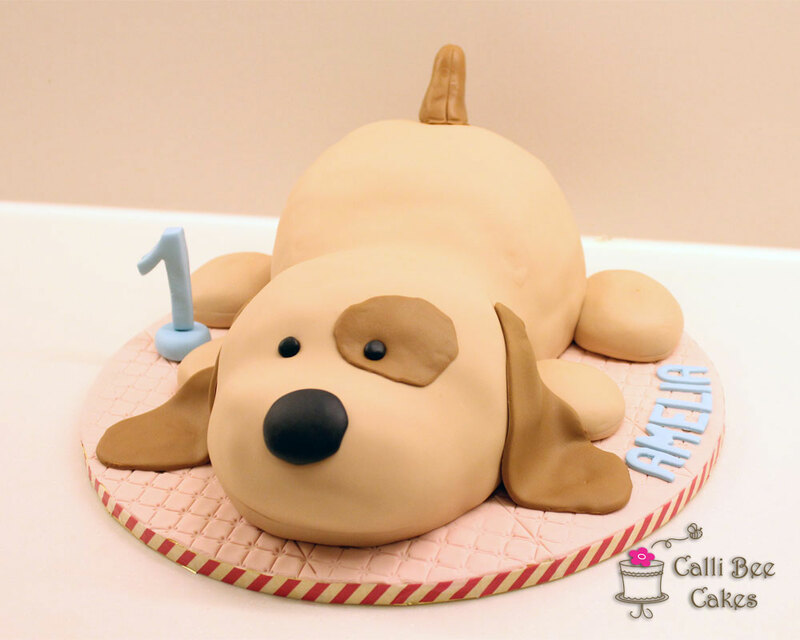 I love doing sculpted cakes and this one was fun as it was modeled over an actual stuffed toy dog that belongs to the birthday girl. The inside is chocolate cake with chocolate buttercream. I have to admit that I'm not the best at macarons. The first time I tried to make them, it took me seven tries before I got them right. Since then, I've struggled to get them right, trying out all sorts of recipes and ratios. I was given the latest recipe by a friend and these ones have turned out the best. In fact, macarons making has vexed me quite a bit and I finally decided to sign up for a class on how to make them. I'll be doing that this coming Tuesday. 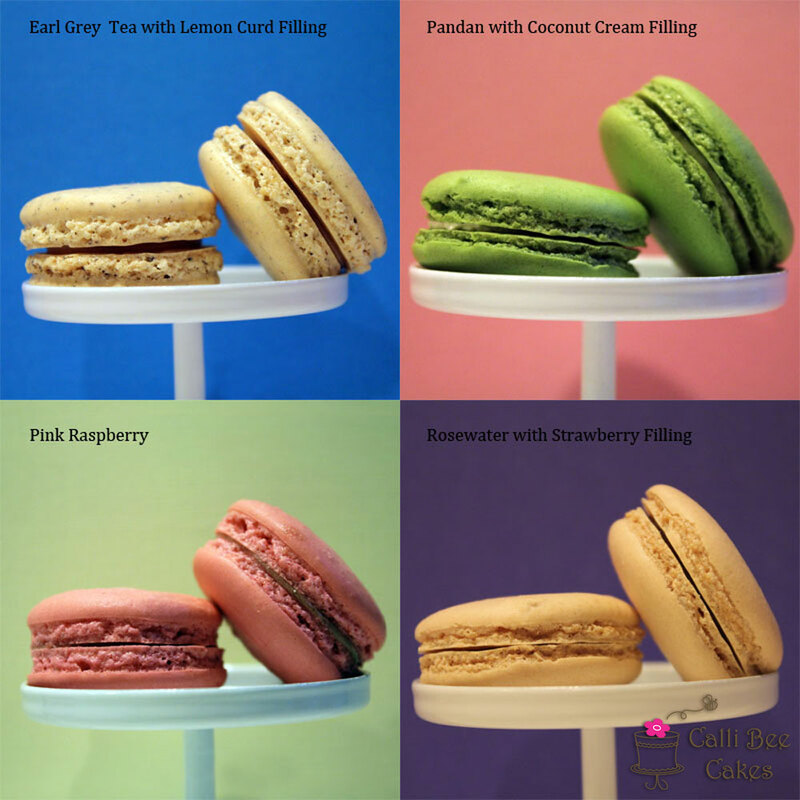 I hope this will help me create flawless macarons from now on. This coming week will be more relaxed, so I'll have to buckle down and get some major scrapbooking done. Hopefully, I'll have something to show you very soon.